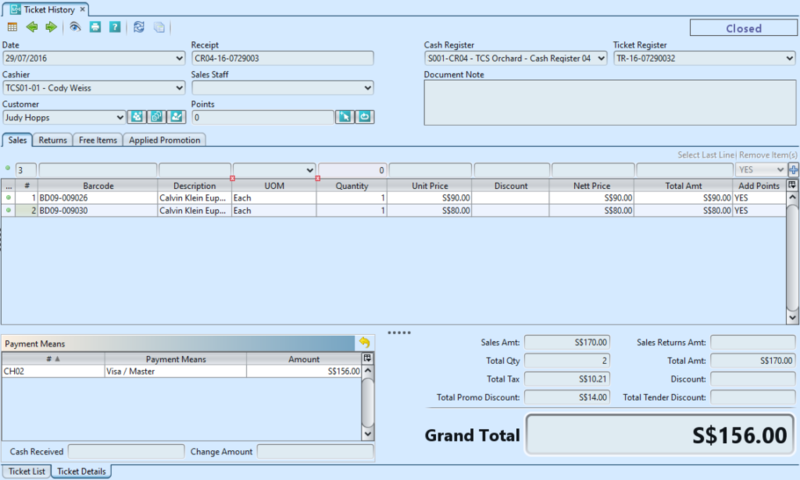 Ticket History view allows user to view POS Entry (cash register) sales transaction tickets / receipts. User able to preview and print the sales tickets / receipts. 2. 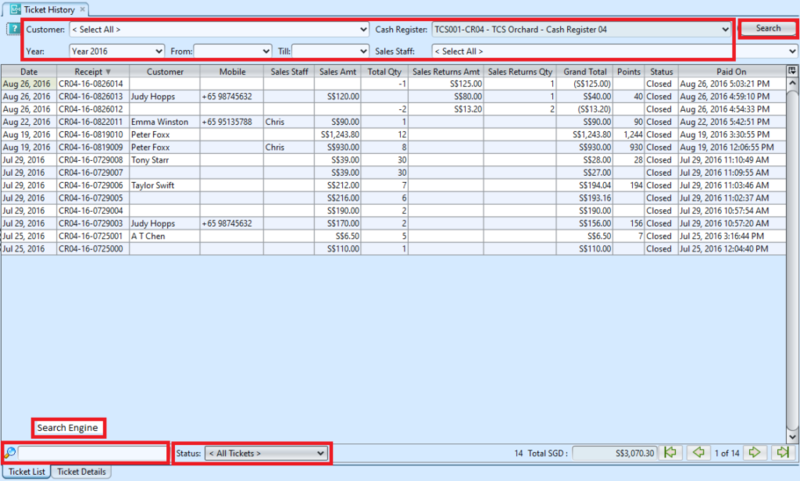 Enter search parameter to filter the result, or type in the search textfield at the bottom of the screen. Click Search button to refresh the list. 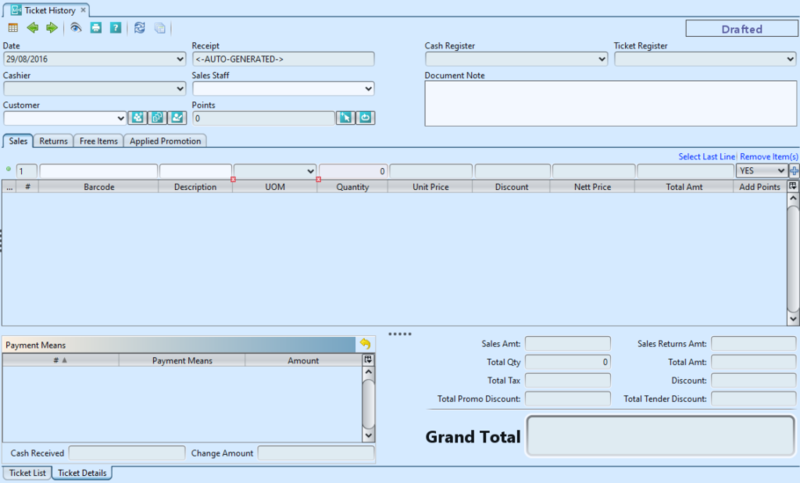 NOTE: If user’s computer was assigned to a Cash Register, user will only able to view Ticket History from the Cash Register. 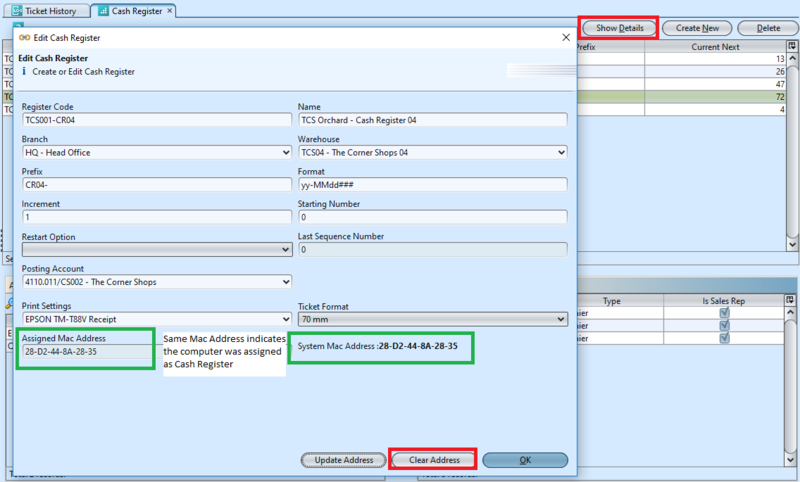 Check if the same value in “Assigned Mac Address” and “System Mac Address”. If so click “Clear Address” button. 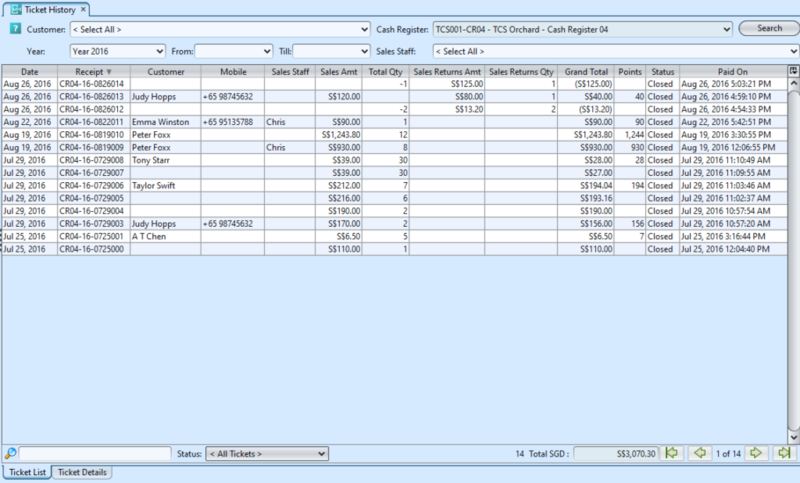 This will allow user to view ALL Cash Register tickets in Ticket History.